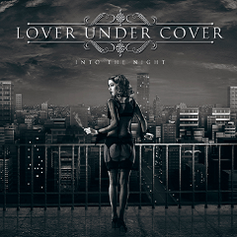 Swedish Melodic Hard Rock act LOVER UNDER COVER will release their second album entitled "Into The Night" through Escape Music on January 24th 2014. The Japan version will also released on January 29th 2014. The band was formed by Mikael Carlsson and they have already shaken the very foundations of melodic hard rock with their acclaimed debut release "Set The Night On Fire" (2012). "Into The Night" is their second effort, soaring harmonies, slick guitar solos and plenty of keyboards feature in their sound and with a knack of producing infectious melodies they will make you beg for more. With a tight production from Martin Kronlund you can be sure of a very polished performance all round. If you want to hear well-crafted and highest quality melodic rock, this one is a must-have.